The face of the world is changing, and we are witnessing new priorities in urban development. Taking the floor before experts from all over the world, three great change-makers shared their expertise and insights with the International Mayors Summit, held in Ukraine in late November. The future is here, and the examples of Växjö (Sweden), Saskatchewan (Canada) and Buenos Aires (Argentina) prove that. “Sweden will become the first carbon dioxide-free country in the world,” declared Bo Frank, lord mayor of Växjö, a town of about 66,000 people in the southern region of the nation. In 1996, the city decided to give up using fossil fuel before 2030. The decision was made in response to the oil crisis, and Sweden’s traditional system of governance is helping fuel progress. “It’s very easy to work in Sweden, because we are may be the most decentralized country in the world. All power is at the local level. We have an extremely strong economy and autonomy. So we can take all kinds of decisions at the local level without our Government and Parliament interfering. I am very proud that we have so strong cities,” Frank said. Sweden will become the first carbon dioxide-free country in the world. Växjö has developed in several directions since the 1990s. It strategy inspired the rise of hydro-electric power stations and solar energy, and over the last 24 years, the city’s greenhouse gas emissions have been reduced by 65 percent. That facilitates purification of not only the air, but also lakes and soil. “We should be a fossil fuel-free city by 2030,” Frank said. Its government is also actively supporting gender equality: 50 percent of the Växjö city administration employees are women. “One of the greatest innovations that we can bring to office is engaging more women in leadership,” noted Debra Button, president of the Saskatchewan Urban Municipalities Association. Currently, only 5 percent of mayors, 30 percent of entrepreneurs and 30 percent of economic leaders around the world are female. The Federation of Canadian Municipalities has pushed forward several innovative initiatives to bring Canada closer to gender parity in municipal leadership — aimed at raising the number of female leaders from 26 percent to 30 percent. The federation has created practical programs as a toolkit to increase women’s participation in local government by providing candidates with information on how to campaign, fundraise and present themselves to citizens and media while they’re running for office. In addition, it has provided mentorship — Button is one of those mentors. Aside from the work she’s doing in Canada, Button’s team is also introducing the strategy of gender parity in Ukraine. Right now, while only 16 percent of the mayors in Canada are female; the number in Ukraine is just 6 percent. Women make excellent leaders, not because we’re better than men, or because we want to be above them. A bright spot: Opportunities for women to pursue leadership positions at the national level in the Ukraine appear to be increasing, she noted, based on her observations during the First National Women’s Congress in Kyiv. According to United Nations, the percentage of women members in the Ukrainian parliament rose to 12.3 percent in 2017, compared with 11.8 percent in 2015. “Buenos Aires has become the first city in the world to go digital,” claimed Alvaro Casalins, partner with Deloitte (Argentina). The 16-million-person-strong metropolis has 372,625 trees, 91,000 outdoor lights, 50,700 sidewalks, 30,000 storm waters and 27,000 roads. Data about this infrastructure is documented in a system that builds on an application from enterprise software company SAP, called HANA. The application, designed and installed by Deloitte, is replacing piles of documentation with digital copies. That is automating data processing and speeding up many administrative processes across the city. For example, the process of certifying maintenance and repair work was previously a manual ordeal with service providers for streets, sidewalks, lighting and so on required to print many thousands of pieces of paper to document the requests. Now that process is digital. “All our contracts were on paper, and there was no active control of what was being done. We couldn’t administer claims or answer citizens efficiently or effectively because we had no execution protocols or administrative processes in place,” said Rodrigo Silvosa, deputy minister of the Environment and Public Spaces Ministry for the Buenos Aires City Government (GCBA). We couldn’t administer claims or answer citizens efficiently or effectively because we had no execution protocols or administrative processes in place. The second phase included extending the system to manage complaints received by the call-center: problems on the streets, sidewalks and in the parks. Buenos Aires departments use HANA to address issues throughout the city. This allows the city to prioritize resources more methodically and respond to nearly 25,000 claims per month, according to Deloitte. During the third phase of its digital transformation, Buenos Aires installed 91,000 outdoor lights with telemetry management as a public safety measure, using LED technology to save energy. The HANA maintenance platform is used to manage the replacement process and to control the new lights remotely, gathering real-time information about neighborhoods in the process. 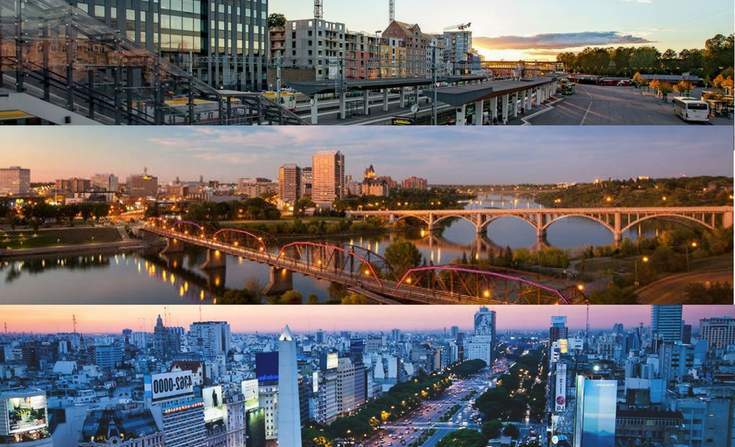 Aside from these specific examples, the HANA software is helping Buenos Aires identify future development priorities. Indeed, Deloitte gathers feedback from the city residents every month to address problems all over the city. What’s more, the city is “pushing” relevant information/notifications to citizens so they can be part of the decision-making process. The platform isn’t just for requesting something or complaining but for assisting Buenos Aires officials in the supervision, control and validation of projects involving public spaces.